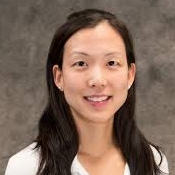 Dr. Christine Ko is Associate Professor of Dermatology and Pathology. Most of her time is spent in the Division of Dermatopathology, where she renders diagnoses for skin biopsies, sent in to Yale from Yale Dermatology Associates and other dermatology practices in Connecticut. Dr. Ko is particularly interested in squamous cell carcinoma and keratocanthoma. She is working on a study of such tumors, in collaboration with researchers in the Department of Genetics and the Division of Dermatologic Surgery. For all skin cancer patients, she conducts rigorous screening skin examinations on a regular basis to detect skin cancers and sun damage to optimize prevention and therapy. She is experienced with surgical treatment of skin cancers, as well as non-surgical methods to treat skin cancer and precancerous lesions. Dr. Ko cares for patients with alopecia and complex dermatologic disease such as psoriasis, autoimmune blistering diseases (pemphigus foliaceus, bullous pemphigoid, linear IgA disease) autoimmune connective tissue diseases (lupus erythematosus, morphea, lichen sclerosus). Dr. Ko also participates in the multidisciplinary vascular conference at Yale University, working with physicians from interventional radiology, pediatrics, and surgery. Dr. Ko received her AB at Princeton University and MD from New York University School of Medicine. She completed internship at UCLA, and her dermatology residency at University of California, Irvine.